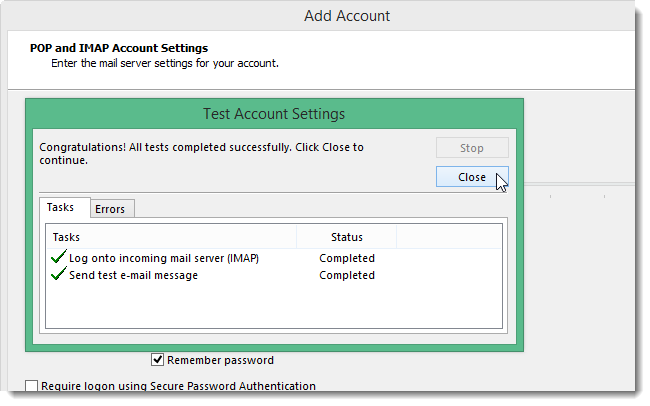 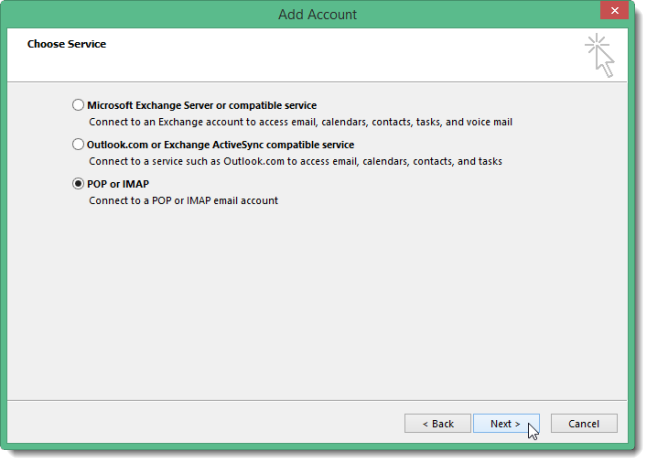 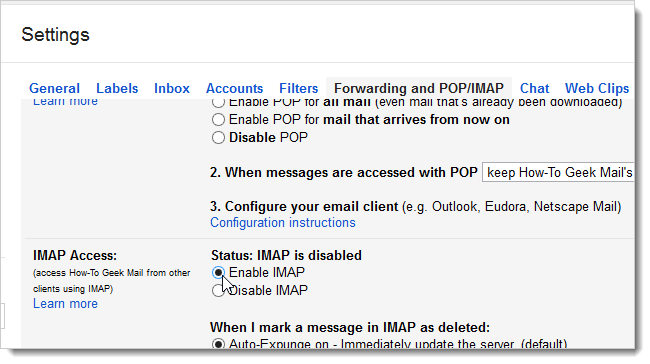 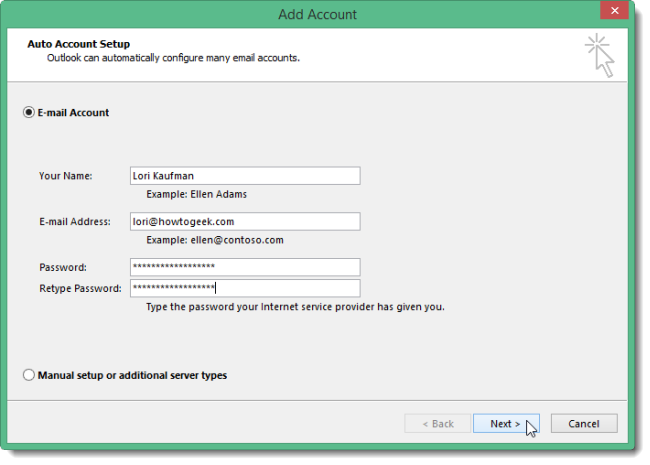 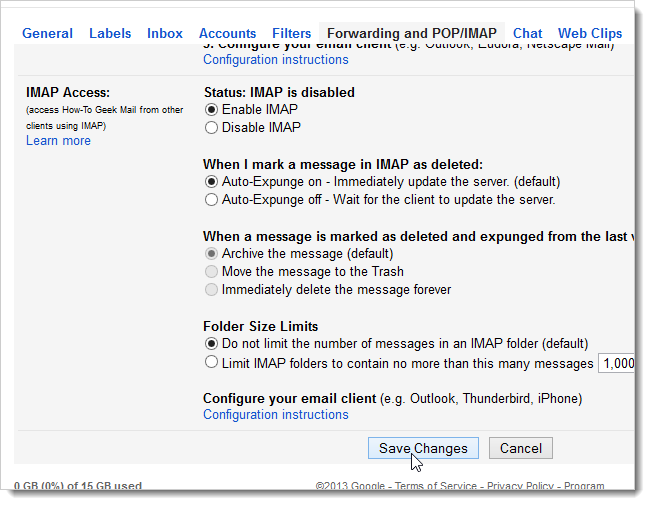 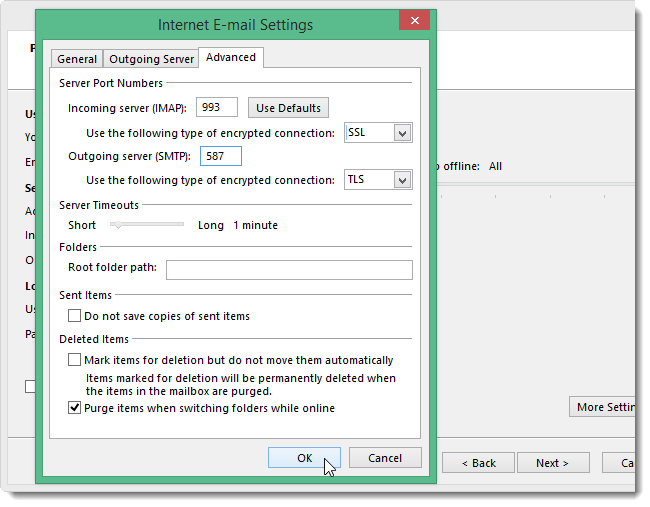 We will show you how to use IMAP in your Gmail account so you can synchronize your Gmail account across multiple machines, and then how to add your Gmail account to Outlook 2010, 2013, or 2016. 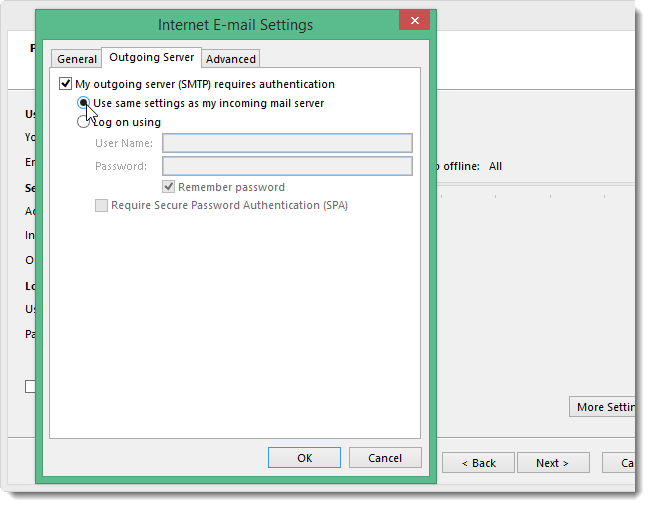 If you are not using 2-factor authentication on your Gmail account (although we recommend you do), you will need to allow less secure apps to access your Gmail account. 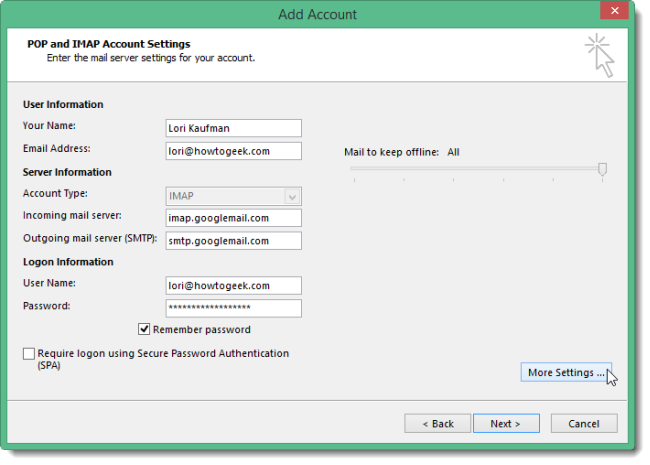 Gmail blocks less secure apps from accessing Google Apps accounts because these apps are easier to break into. 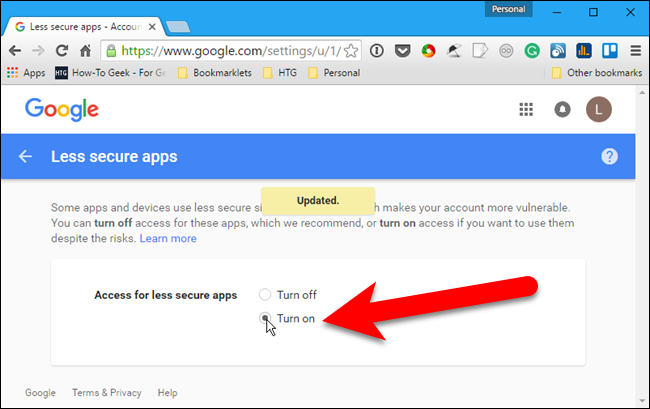 Blocking less secure apps helps keep your Google account safe. 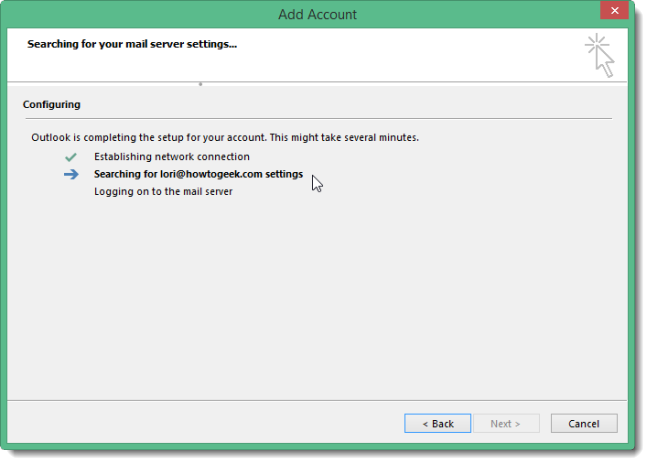 If you try to add a Gmail account that does not have 2-factor authentication on, you will see the following error dialog box. 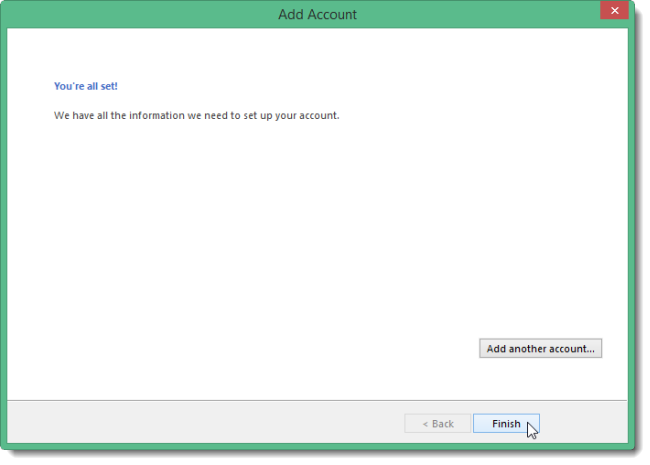 It is better to turn on 2-factor authentication in your Gmail account, but if you would really rather not, visit Google’s Less secure apps page and log in to your Gmail account if prompted. 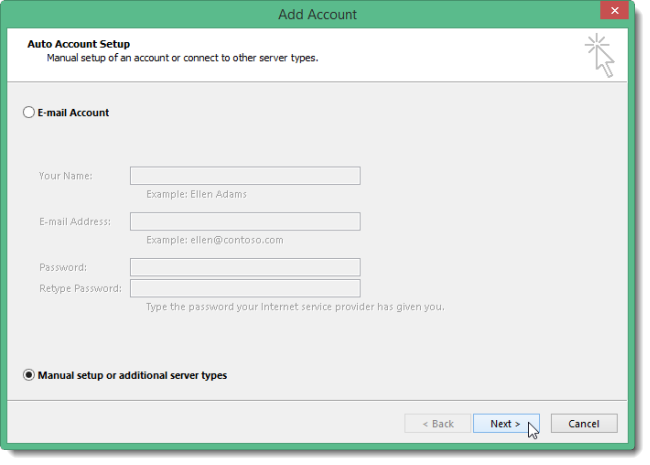 Then, turn on Access for less secure apps. 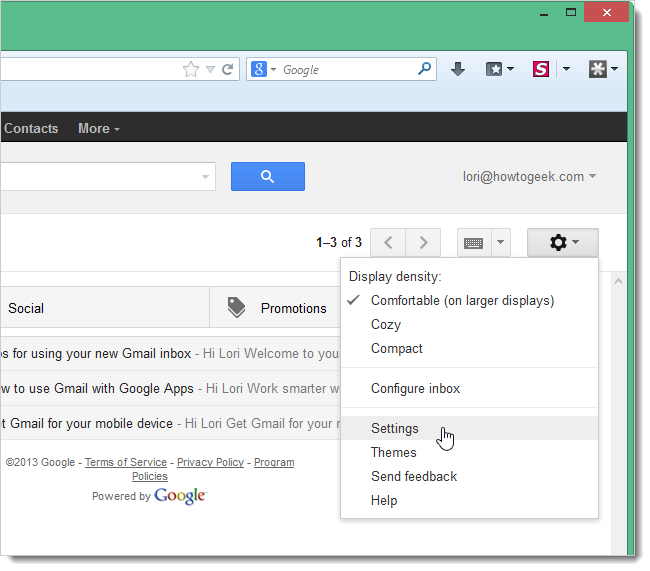 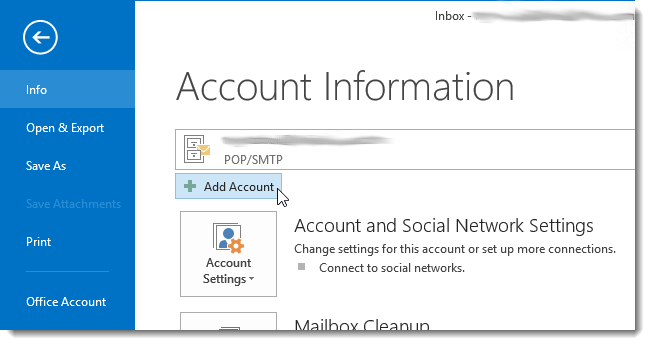 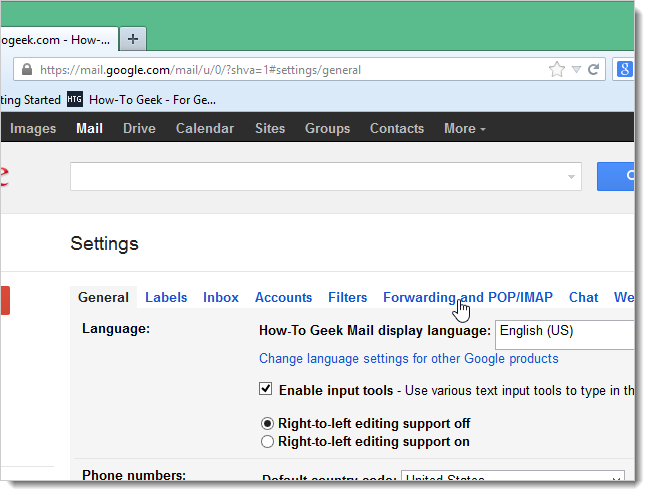 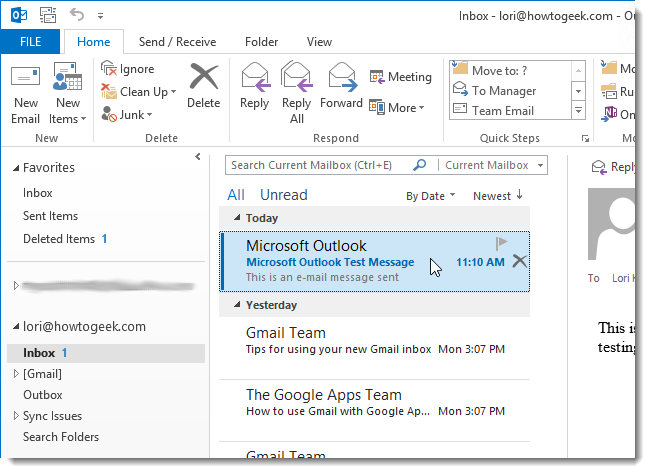 Now you should be able to continue to the next section and add your Gmail account to Outlook.